The Cross Current Turns 10! Home/News/The Cross Current Turns 10! May 2007. The first broadcast of TCC Radio is aired and the first witnessing workshop of The Cross Current is shared. After a decade of hands-on discipleship and airing and sharing Christ in Canada, we thank God for the good work He’s begun in us and trust Him to faithfully finish it! 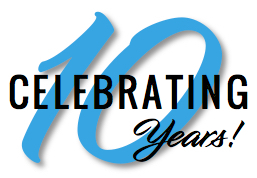 “Ten Years of Keeping the Cross Current” Special Anniversary Radio Series! In this special anniversary series of TCC Radio, we’re praising God together for His past, present, and future faithfulness in our ministry. We’ll take you up close and personal with our founders as they tell the inspiring story of how and why The Cross Current began. Not only will you hear our very first recorded Gospel conversations, but leaders and laypeople alike will also learn much from our many years sharing Christ every week with family, friends, and even strangers on the streets. Looking forward, we’ll share how you and your church can leverage our experience to get equipped by example for high impact Gospel Outreach in celebration of Canada’s 150th anniversary – and this only a sampling of what you’ll experience with us in this series. After ten years of keeping the cross current in Canada, we’ve got so much glory to give and so many “glory stories” to tell! Care to listen? Make sure to tune in to the broadcast and/or podcast next month! It seems somewhat providential that the same year our ministry turns 10, our country turns 150! That’s why we’re prayerfully deploying an evangelism equipping campaign for Christians and their local churches. This Canada 150 anniversary marks a once in a lifetime opportunity to invite our lost loved ones to appreciate and celebrate our Christ-centered heritage together.